The Andrea Rosen gallery in NYC is exhibiting the work of Matt Keegan. 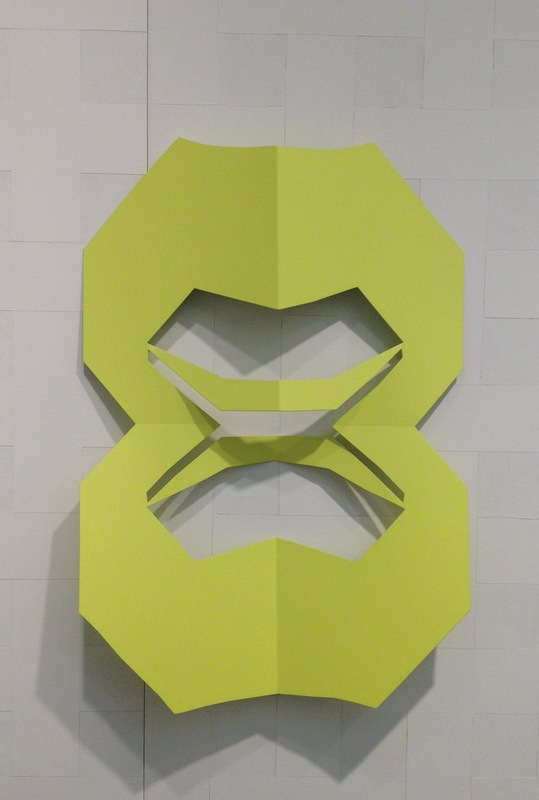 I found two of the powder coated steel wall sculptures of particular interest. These structures originate as folded paper cut-outs that are then fabricated in steel. The type of fold that is used to make the paper forms is called a French fold. To make a French fold you take a sheet of paper and fold it in half. Then without opening the paper you fold it in half again perpendicularly to the first fold. When you unfold the paper you have two types of folds: valley folds, which are concave, and hills folds that are convex. 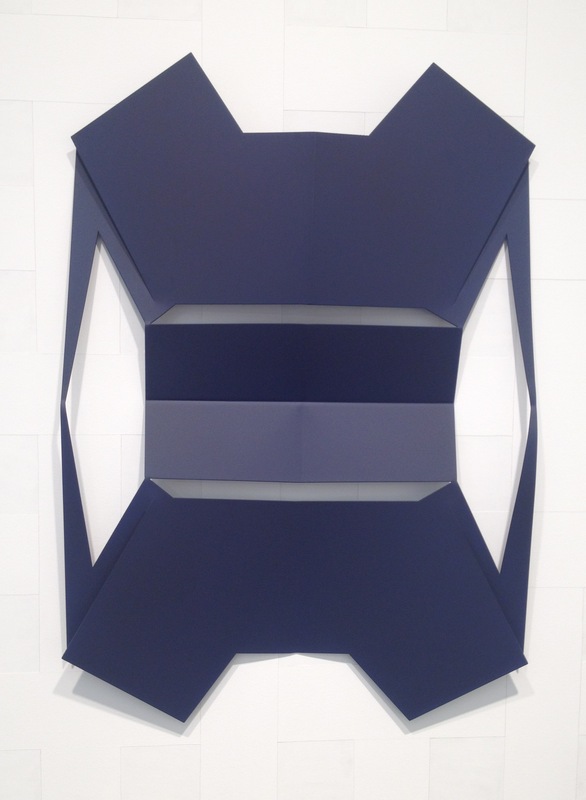 In the sculptures Untitled (Navy) and Untitled (Neon) the French fold technique creates horizontal valley folds running through the centers. The top portion of each sculpture shows a vertical hill fold through the center, and the bottom half has a vertical valley fold through the center. Disregarding the fold directions both sculptures have two lines of reflection symmetry, vertical and horizontal. Keegan celebrates the simplicity of the folded and cut paper by transforming the patterns into substantial steel structures .